In many IT departments, there’s a temptation to focus on resolving incidents rather than addressing the underlying problems. It’s understandable, of course, due to the time constraints of modern-day IT support. But the catch is that those problems lead to more incidents. If you’re looking to improve your problem management process, while juggling it with incident management, then striking a balance between them is key. And luckily, it’s not too difficult to achieve! Admittedly, setting up and maintaining a problem management capability can seem like one more job to add to your already packed to-do list. But with a bit of an agile attitude and the aim of being both reactive and proactive, you can easily streamline the process. Here are five tips to consider in doing this. It’s tempting to store everything in a hold-all space – somewhere that functions as a one-stop shop when you’re dealing with a call. But separating problems out from incidents and logging them in their own dedicated space can help to better your processes. It means that you have full clarity and transparency about the details of the problem, an accessible record of your investigation, and insight into the resources needed to fix it. If you need more information about the differences between incidents and problems, you can read a blog on this topic by following the link. Once you’ve put your investigative skills to the test and identified the root cause behind the problem, you have what’s known as a “known error.” Just like incidents, known problems should also be kept in a separate area from the problems. Why? Simply because it allows you to be more dynamic in your categorization. By doing this, if you need to recategorize an error to something more suitable post-investigation, then you can. Now, as you make discoveries about the problem at hand, your IT service management (ITSM) tool has an up-to-date record of your thinking and your shifting priorities. Your known error database then becomes an accessible and comprehensive archive of problems and their workarounds for future use. And once you resolve these known errors, you can happily close them and you have everything separated out when it’s time for reporting. Don't get stuck in a rut – be proactive in researching different techniques for identifying and interrogating problems. Challenging your tried and tested methods can provide a different perspective – and a different route to identifying the root causes of problems. Now granted, there are more sophisticated methods for drilling into the core of the problem. But why make things complicated? 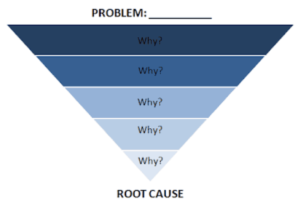 Simply adopting the 5 Whys method might be enough. Rather than forming a base conclusion, it encourages you to ask a series of questions until you arrive at the root cause. The principle is essentially to persistently ask why something is happening. You know, that slightly annoying thing toddlers do where they’ll persistently ask a question over and over again. But it works! Having someone who is ultimately responsible for problem management can vastly help to improve your overall process. It means you have a colleague in charge who’s enthusiastic about solving problems, and who can motivate the team towards the same goal. But not only that. They’ll also have the crucial insight needed to monitor and analyze trends, which can help to validate the efforts and up-front energy that you’ve put into problem management. Beneficially, a problem manager can help to maintain momentum in the team, while supporting better internal organization when solving problems. Having a problem manager is great, but collaboration is key. Invite your team to make the most of their knowledge and experience by allowing them to contribute to problem management. This can add some interesting variety to their roles and can help you to identify a root cause more quickly if you have keen colleagues who are good at detecting issues. If they’ve been on the front line reacting to incidents, then they might have some thought-provoking insights into the underlying problems. Using the knowledge of your team also helps to embed cultural change, which ultimately means better problem management. Finally, if you’re looking for an easy to consume way to understand how to use ITSM processes better, you will find some inspiration in the TOPdesk Best Practice Service Management e-book (registration required). 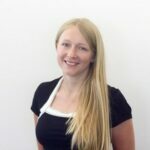 As a Service Management Consultant at TOPdesk, Hannah helps numerous organisations in the UK and beyond implement software and design and optimize service processes. She’s a regular presenter and speaker at industry events and a keen blogger. Here, Simon Johnson of Freshservice look at the education program and who you should plan to see while at the Service Desk Show - SITS - this week.